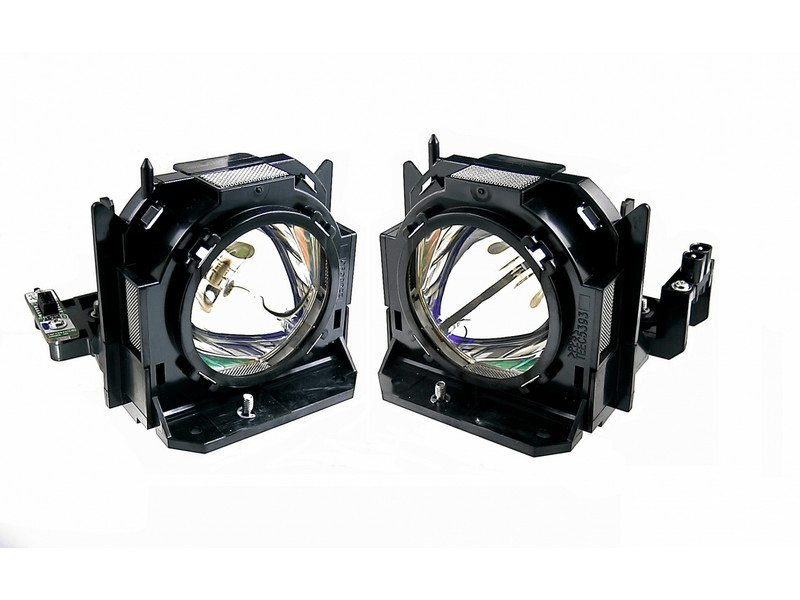 The ET-LAD60AW Panasonic twin-pack projector lamp replacement comes with genuine original 300 watt Osram brand PVIP bulbs inside rated at 6,500 lumens (brightness equal to the original Panasonic lamp). The ET-LAD60AW Twin-Pack has higher lumen output and longer lamp life than other cheaper generic replacement lamps being sold elsewhere. This Twin-Pack also has a Lamp Run-Time Module that is calibrated and tested during Pureland Supply's quality control process. It is guaranteed to operate the same as the original and will count your run time correctly to ensure proper function of your projector. ET-LAD60AW Panasonic Twin-Pack Projector Lamp Replacement. Projector Lamp Assembly with High Quality Genuine Original Osram P-VIP Bulb Inside. This twin-pack is brighter and appears to be made with an overall better construction than others we have tried. We are very pleased with the lamps we purchased from Pureland Supply. Our lamps shipped out the same day and installed without any issues. We must point out that the quality was better than others we have tried before and our lamp timer reset as it should. We can't say the same of the lamps we tried on Amazon. We would recommend these guys to anyone out there in need of a projector lamp. Very prompt delivery. Bulbs were ordered for our church projector. They have been installed and working properly. Quick delivery, very bright.....very happy! Shipped same day and it is a better quality lamp. Thank You! !